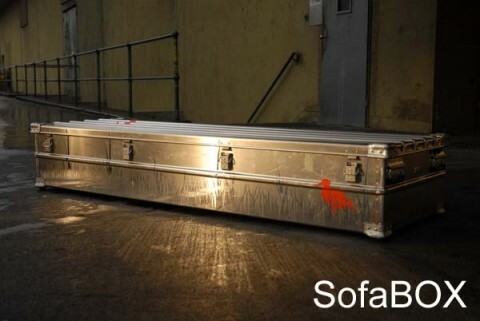 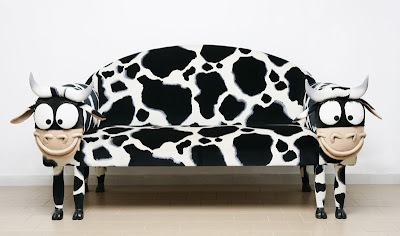 Collection of cool sofas and the creative sofa designs from all over the world. 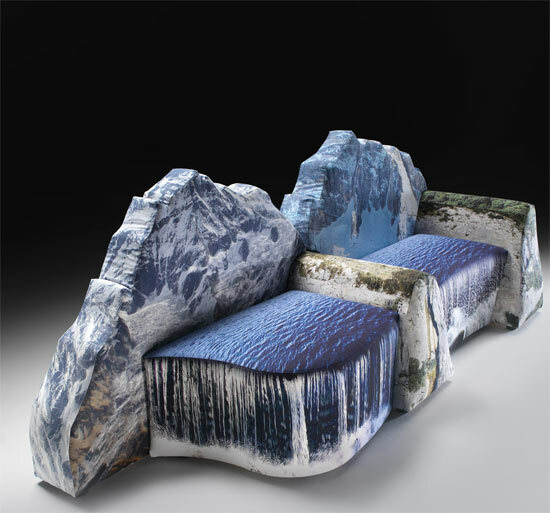 Montanara: Designed by Gaetano Pesce, this sofa creates a beautiful illusion of waterfalls and mountains scene right in your living room. 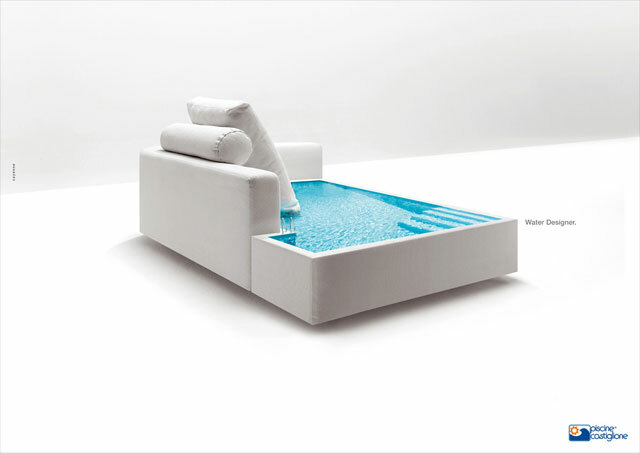 Swimming Pool Sofa: Concept sofa design created for an advertisement for Piscine Castiglione, a swimming pool design firm. 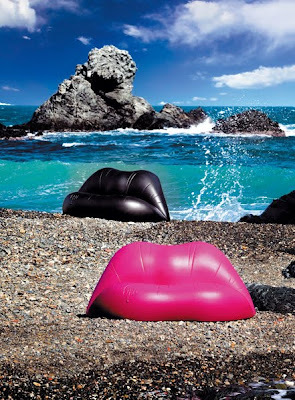 Lips Shaped Sofa: The iconic Bocca sofa designed in 1970's in the shape of a mouth which Salvador Dalí designed with Oscar Tusquets. Sitscape Sofa: "The "Sitscape" is a seating zone with a length of six meters. The form transforms the usual use of a couch. The design is based on specific seating positions and smooth transformations between them. 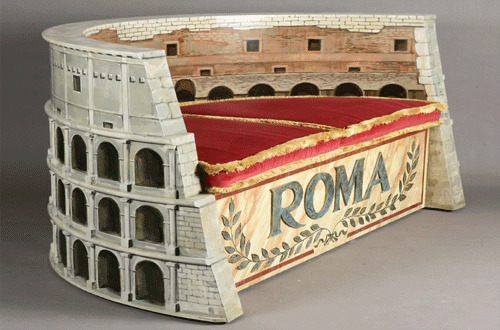 Roma Sofa: A cool sofa created in the shape of the famous Roman Coliseum seems a perfect fit for your living room. 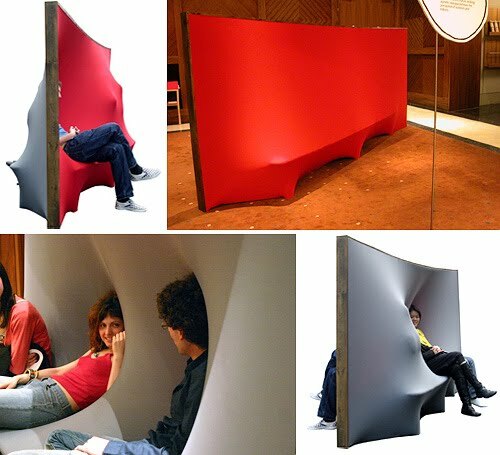 Behind The Wall Sofa: Designed by Jordi Canudas, it's a two-sided piece of furniture; functional both as a wall dividing the room in half and as a sofa. 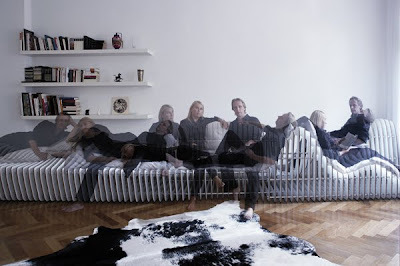 Do Lo Res Sofa: A unique sofa that mixes and merges the worlds of art, design and technology. 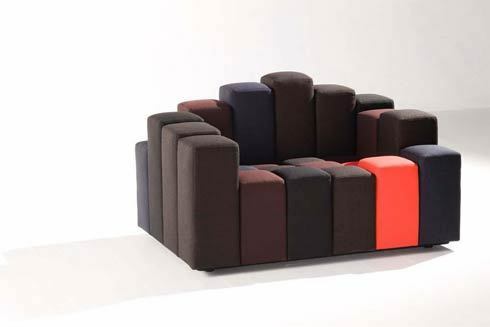 Its composed of several soft, square-based cube or rectangular shaped units of various heights. 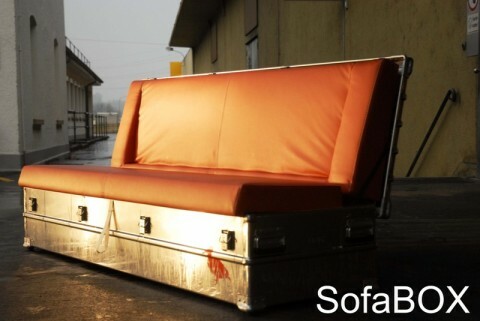 The units are arranged in rows to form the shape of the sofa, and fixed to a platform by steel pins. 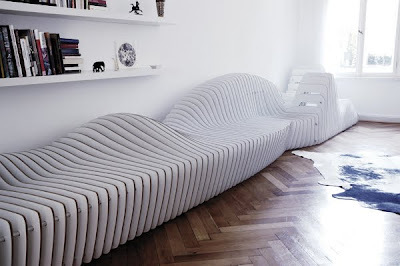 Scrubbing Brush Sofa: At first glance it looks more of a scrubbing brush turned upside down. 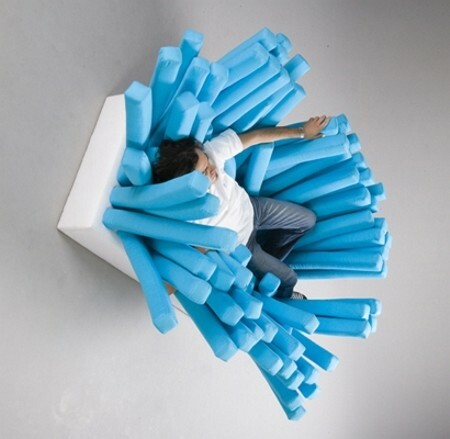 But each of these comfortable bristles is designed to give you a relaxing massage. 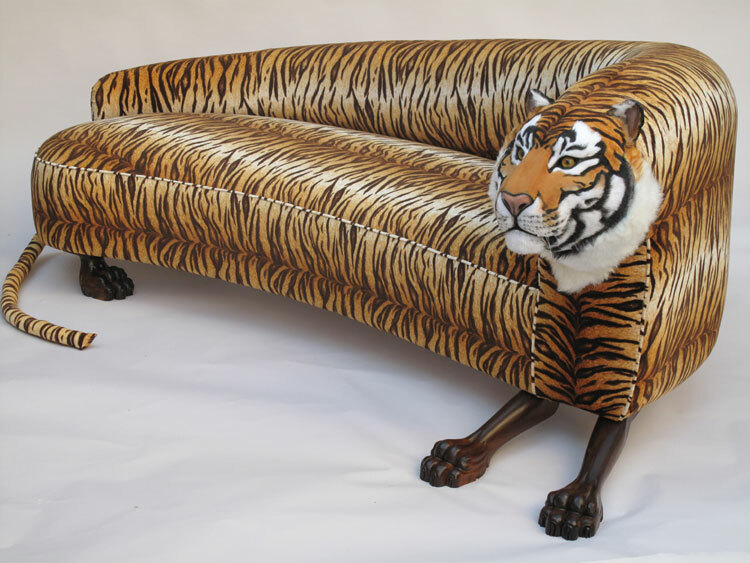 Tiger/Cow Sofa: Creative creations of Rodolfo Rocchetti of "Tappezzeria Rocchetti", a master upholsterer from Rome. 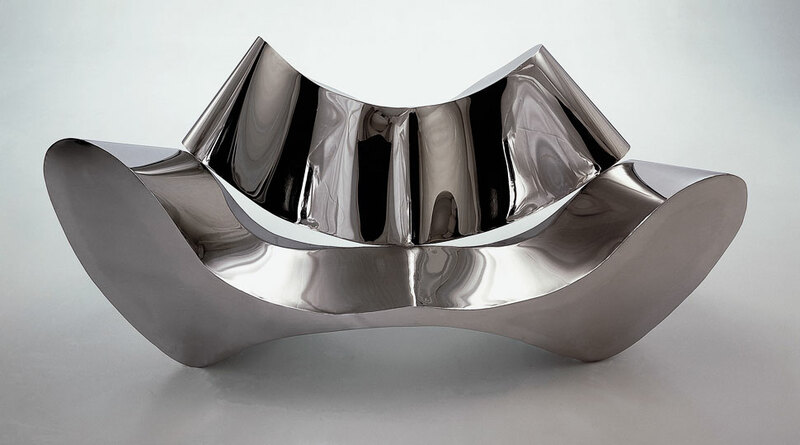 Steel Sofa: 'Europa' creation of English steel artist Ron Arad is 218 cm long, made of a chrome-nickel-steel sheet that is only 1 mm in thickness.